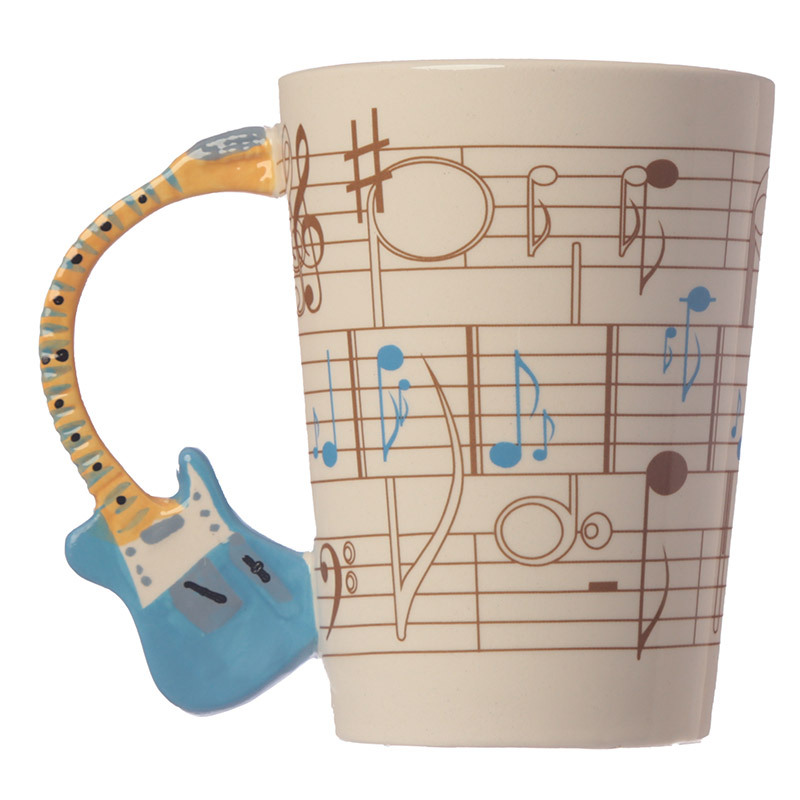 Amazing mug with lovely music notes pattern and a handle that looks like a guitar. 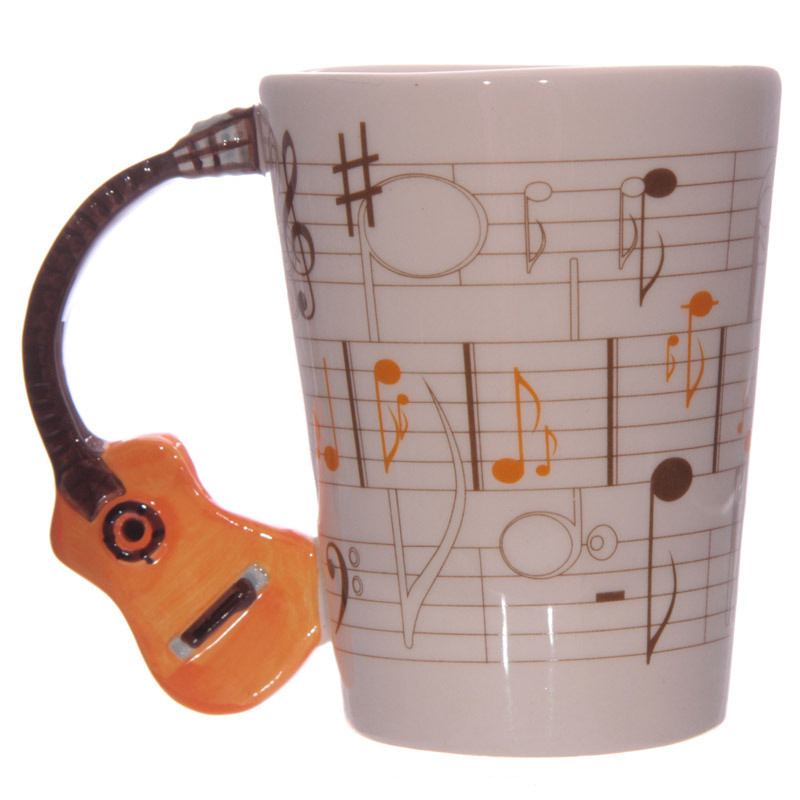 Awesome item for every music lover. 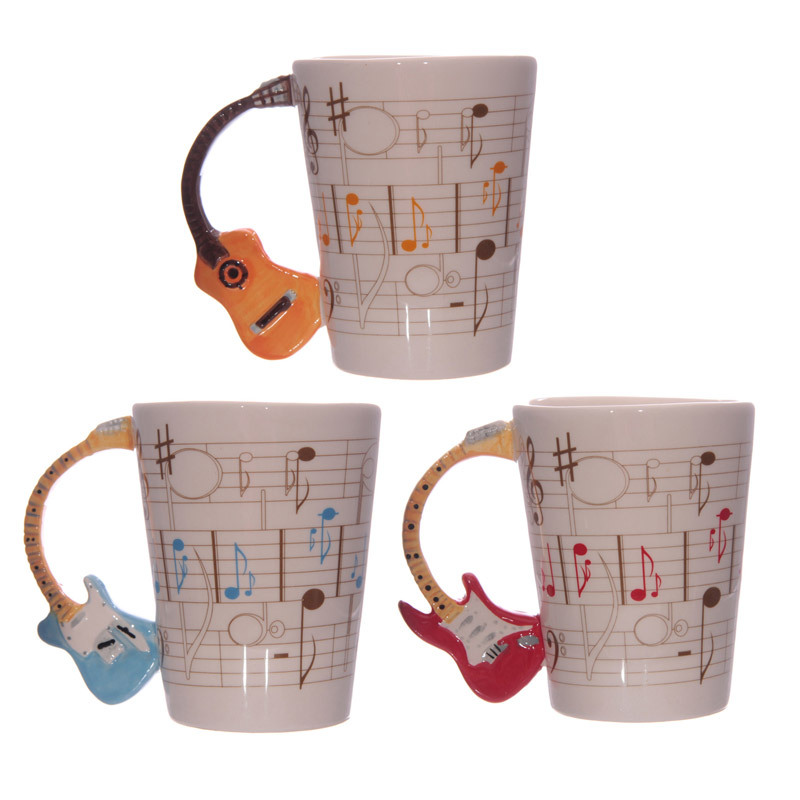 Three models of the guitar handle available - assorted. 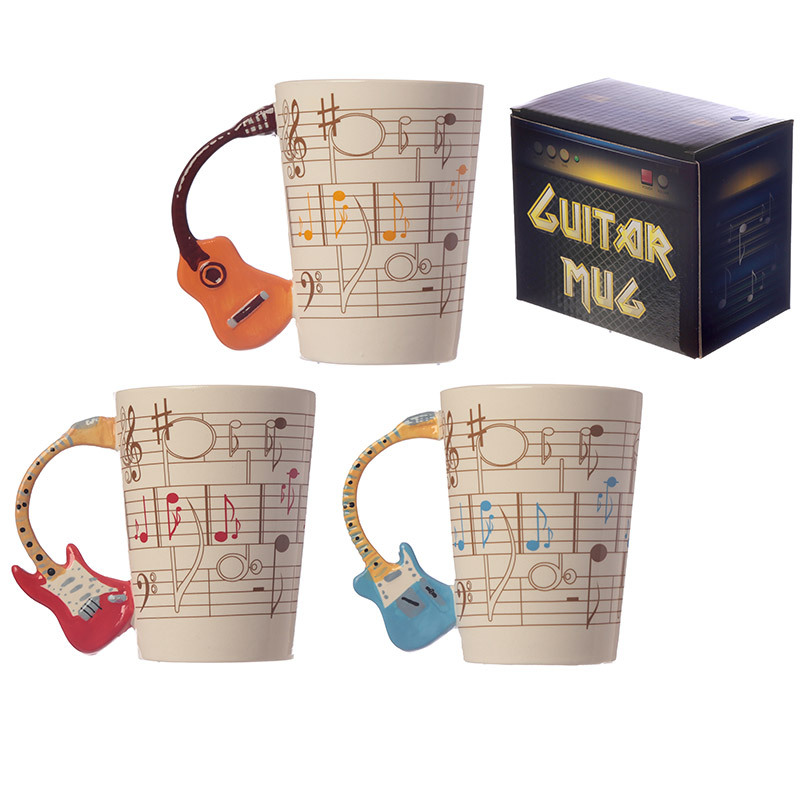 Nice gift packaging - colourful cardboard box.